With lift up drawer faces containing power outlets and USB Ports, and a 60 inch table, this counter height pub table and media cabinet combo is perfect for anyone who watches television while eating. The incredibly versatile table can stand alone or be attached to the cabinet, allowing you to arrange your space exactly as you please. 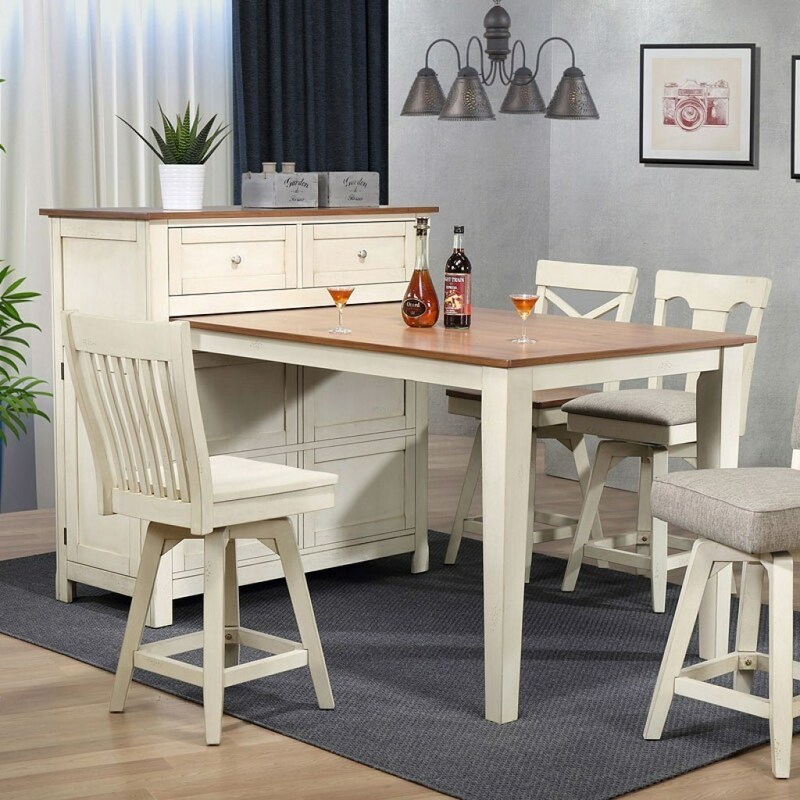 The 0740 Counter Height Pub Table and Media Cabinet Combo by E.C.I. Furniture at Ryan Furniture in the Havre De Grace, Maryland, Aberdeen, Bel Air North, Churchville area. Product availability may vary. Contact us for the most current availability on this product.